You’ve enjoyed our 7 things to do in Louisville, Kentucky, so I’m sure all that reading must have made you hungry. What should you eat? And where? 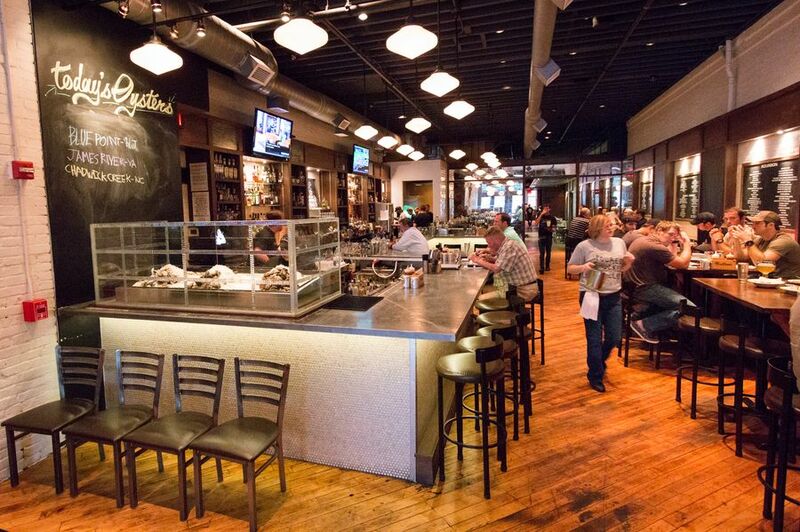 Well, here are 7 places to eat in Louisville on your next vacation. Who hasn’t heard of KFC, the fast food chain specialising in fried chicken? After McDonald’s, its the world’s largest restaurant chain, and headquartered in Louisville, Kentucky. So you can’t come to Louisville and not eat KFC. Get your photo taken with iconic founder Harland Sanders at the Louisville Visitor Centre and then head out for a bucket of crispy deep fried chicken at a nearby KFC restaurant. Or if you’re watching your calories, just do what I did… try eating Colonel Sanders instead! We heard about this restaurant and just had to visit one evening for dinner. 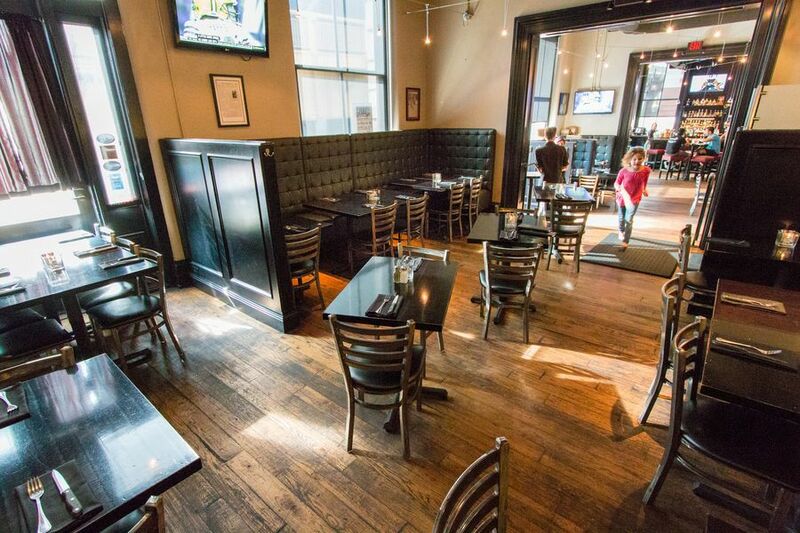 An unassuming little joint inside the beautiful Whisky Row Lofts built in 1877 - an exquisite building featuring 16-foot ceilings and 11-foot windows. We aren’t bourbon drinkers, but if you are coming to Louisville for bourbon I’m told this is the best choice for burgers and bourbon. Or if you are like us and want to taste something special, then this courthouse-themed eatery for you. 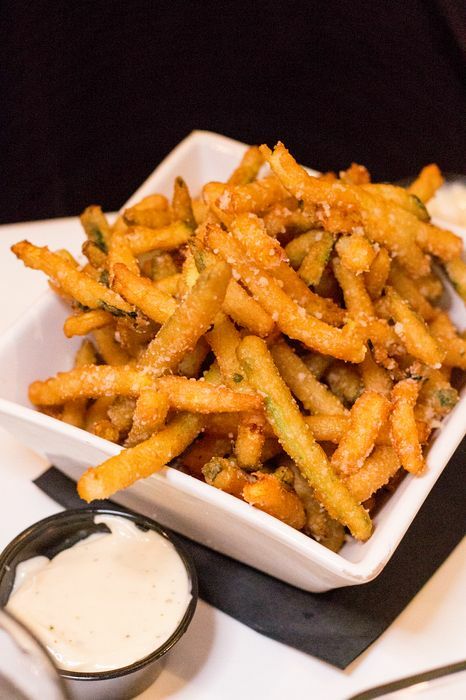 We ordered a plate of zucchini fries and sweet potato fries for the kids - both a smash hit. Josh relished the Death Penalty, a spicy, juicy hamburger. The burgers are handcrafted with a blend of Certified Angus Beef and no added fats or fillers. Josh coupled his Death Penalty with a Not Guilty caramel, apple and bacon milkshake. 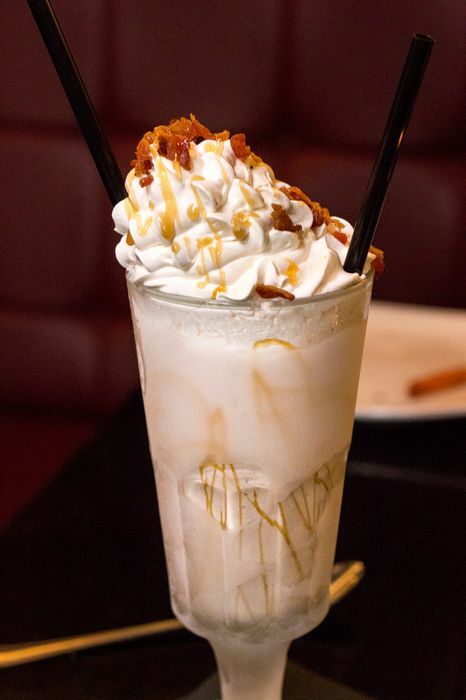 Yes, bacon in a milkshake. 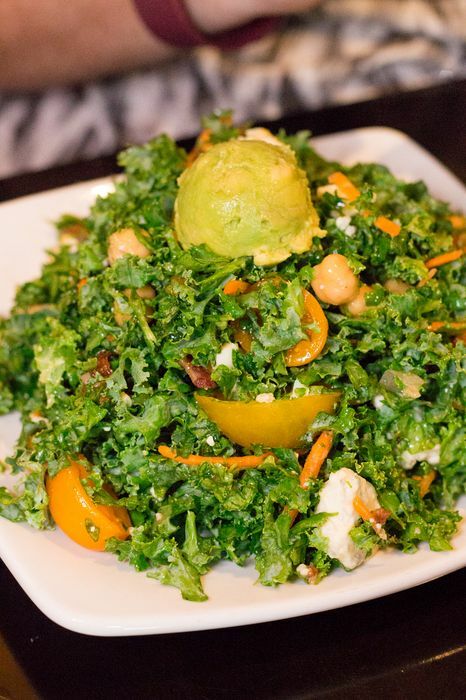 I stuck with a Kale Cobb Salad. Josh should have felt guilty after that. 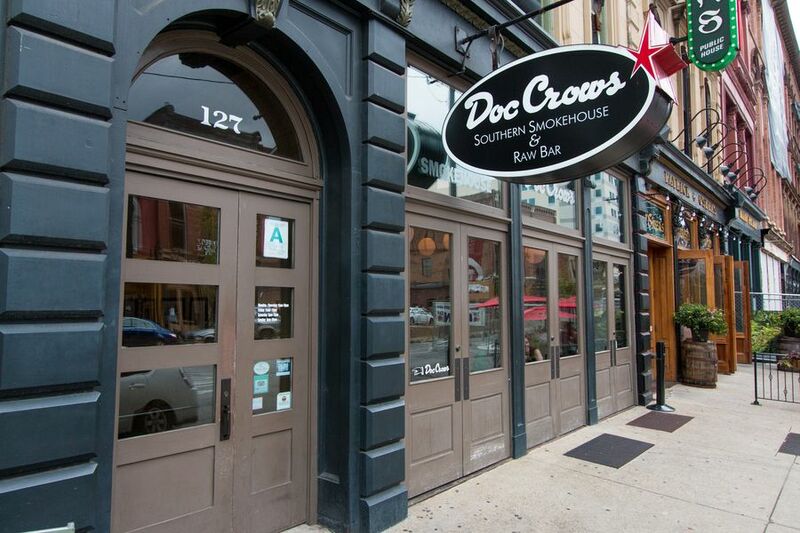 This place was also on our hit list, situated in downtown Louisville on Whiskey Row. 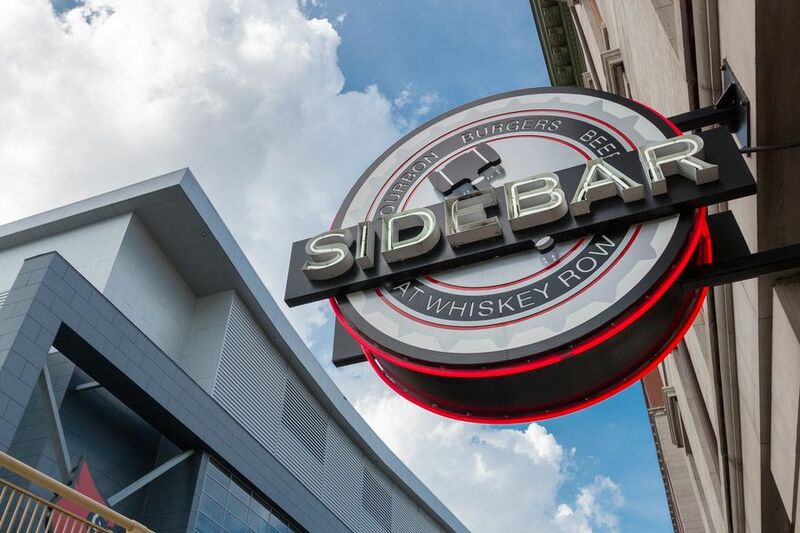 Here you’ll find American Southern cuisine with diverse barbecue options. 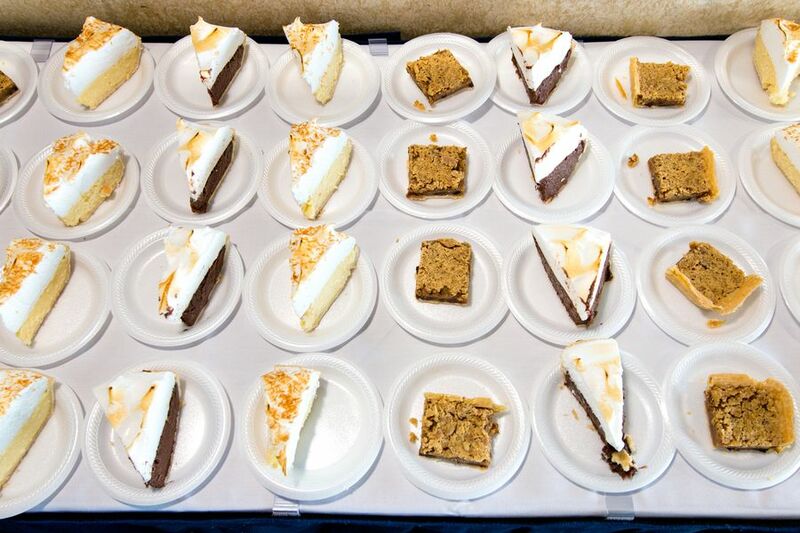 On the menu for us: the Daisy Jane, St Louis Ribs, Smoke House sampler and Key Lime pie. The dry-rub ribs were very spicy (as opposed to “wet” BBQ sauce). The kids could not stand the heat, so devoured the sides (toasted bread, chips, onion rings). One rib serving was large enough for Josh and I to share, with leftovers. 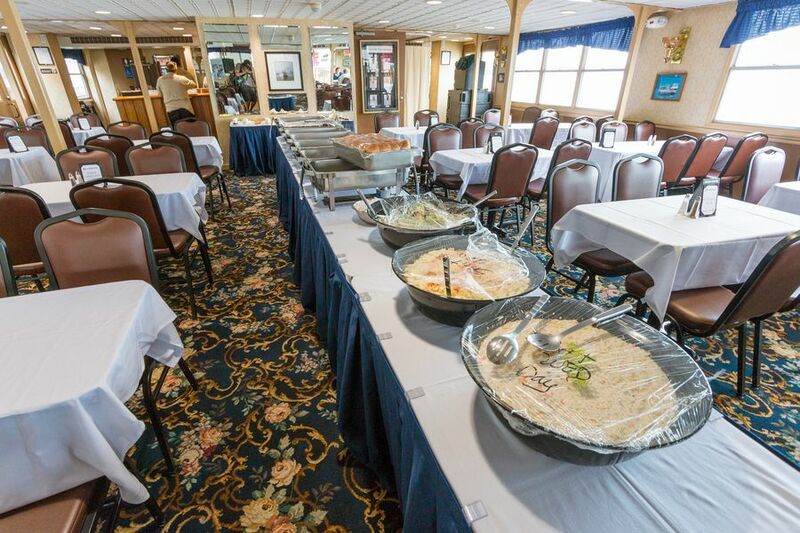 Nothing beats savouring a traditional southern lunch on a riverboat while soaking up views of Louisville. Indulge in fried chicken, BBQ pork, macaroni and cheese, steamed vegetables, slaw and a dozen different desserts from cobbler, pies and cakes. During summer and weekends the bigger sister, Belle of Louisville at 100 years young, also sails. We only managed to eat at our hotel once during our stay, because we were so busy. It’s a shame really because they have 6 restaurants and lounges. We enjoyed lunch at Café Magnolia. Serving sizes were huge and the kids received colouring activity sheet, always a plus. There is plenty of fast food to choose from in downtown Louisville. But one evening after a big lunch on the Spirit of Jefferson steamboat, we longed for something light and low on calories. We’d never tried Zoup before and it offered a neat solution: soup with a chunk of freshly baked bread. We ordered Italian pasta and vegetables along with roasted tomato bisque. 2 bowls were big enough to share for our family of 4. What is better than all-day breakfast? Toast came with hearty recommendations and tried it for breakfast on our last morning in Louisville. 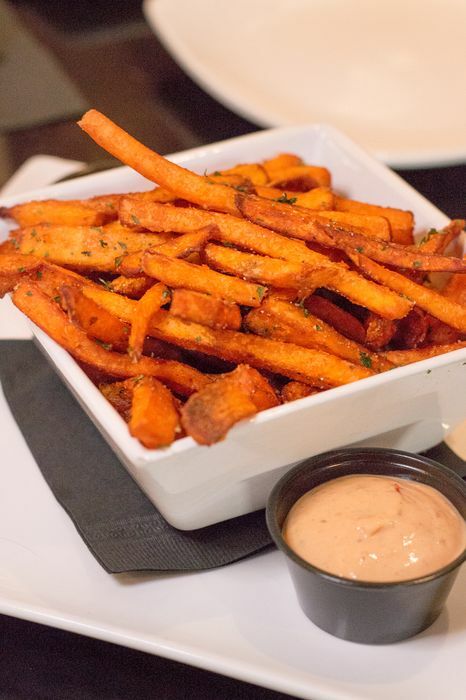 Only 2 words suffice: sinfully delicious. The kids shared a classic French toast. Josh made his way through The King – peanut butter and banana French toast, with homemade potato hash. While I enjoyed a Dutch-inspired classic with a twist, Lemon soufflé pancakes. Yum! Once the kids are all grown we’ll have to head back to Louisville to explore the Bourbon Trail or make our way through Whiskey Row with more whiskey-ish intentions. Until then, Louisville has no shortage of southern comfort food made with love. Oh, that’s the secret ingredient! Shhh… let’s keep that secret between you and me. Mouth Watering places for the food lovers and thanks for sharing beautiful places to eat. wow! i'm craving after reading this, Thanks for sharing beautiful places to eat.